Small spaces sometimes limit all the wonderful ideas we have for decorating or remodeling a certain room. However, you still can turn it upside down and actually turn what small space you have into a beautiful room that still function perfectly. Small kitchens don’t have to be bad and cramped-looking. If you put the right appliances and stuff in the right places and have the right layout in mind, you can definitely create your own beautiful small apartment kitchen interior that can be the envy of your neighbors down the hall. Here are some creative ideas that you can apply to your apartment kitchen. 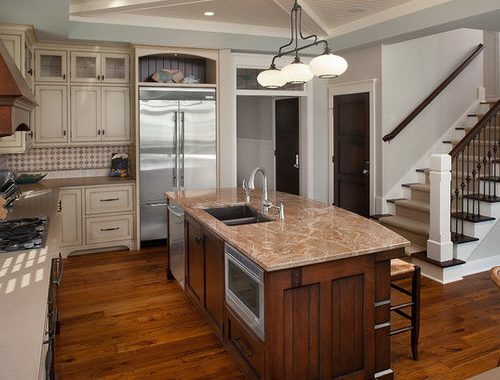 If you don’t want to leave any space unused, you might want to go for a walk-through kitchen. It is also known as galley layout. This design is effective for small kitchens because it won’t leave any dead space. 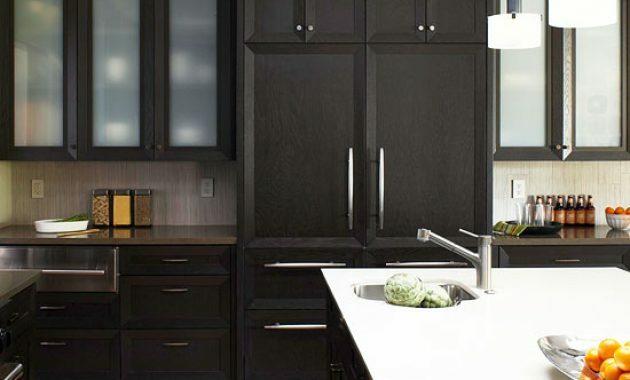 However, if you already installed the floorpan in an L shaped but are still wondering if you can improve your kitchen efficiency then you can simply do it by adding drawers in the corner and installing lazy Susans inside the cabinets. That way, you will successfully use every inch of small space that you think doesn’t have storage space potential. To make your small apartment kitchen interior even more stunning, you can also install mirrors anywhere you think is possible. 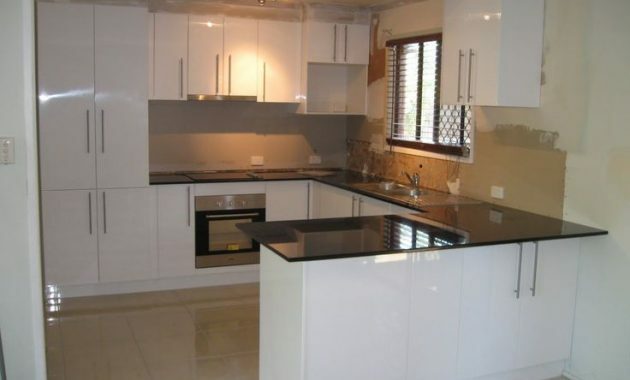 It will create a beautiful illusion to your kitchen and will give off a roomy feeling. Small kitchens make you think harder for more storage. Look up and you will see that the empty area above your counter is storage space potential. It will make nice addition to your cabinets. Floating shelves are the perfect storage solution for limited space. You can make it small or large enough as long as it still fits. Open shelving storage also makes it easier for you to reach for something you regularly use during your cooking hour. When a full table and four chairs are not possible to fit in your small kitchen, the only alternative is to go with kitchen counter bars. The upside of using a bar countertop is that not only it can function as a practical eating area but also it can double as preparation station. 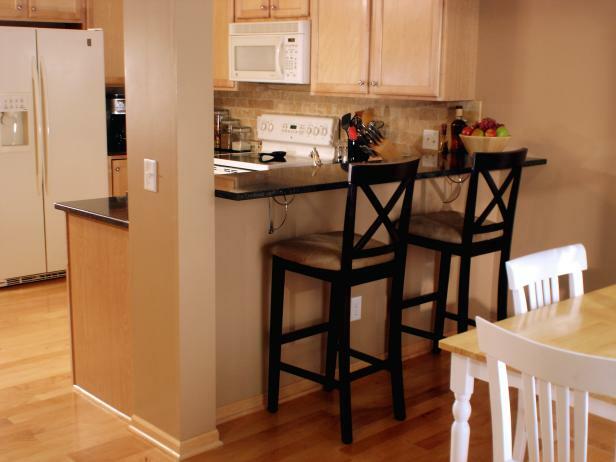 Poor lighting placement choice will make your kitchen look depressing and cramped. Simply install several small lights under your cabinets. It will create a nice flow in your kitchen and make your tiny kitchen look workable. 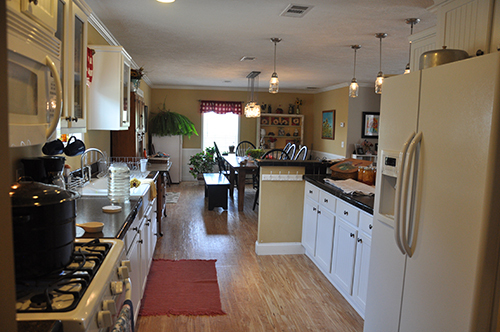 Small kitchens are prone to floating storage. Hanging your kitchen appliances is the best alternative to create more storage in such a small kitchen. 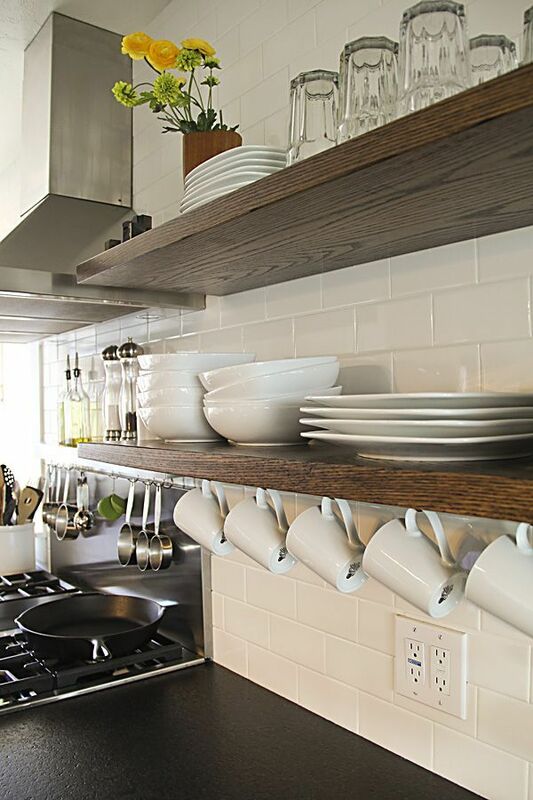 Think of a strategic place to hang your large pots and pans. Hang in in front of the window or the empty wall around the kitchen. 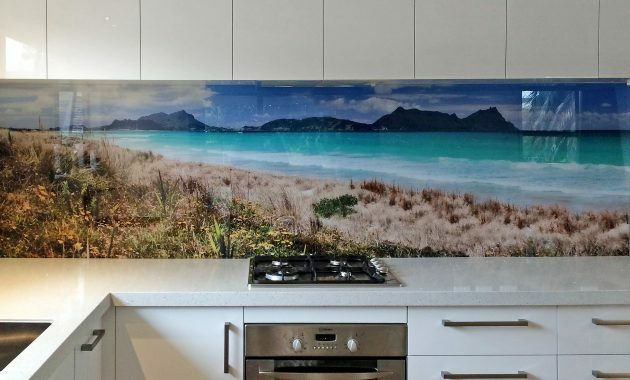 It can add a certain visual appeal to your kitchen too. 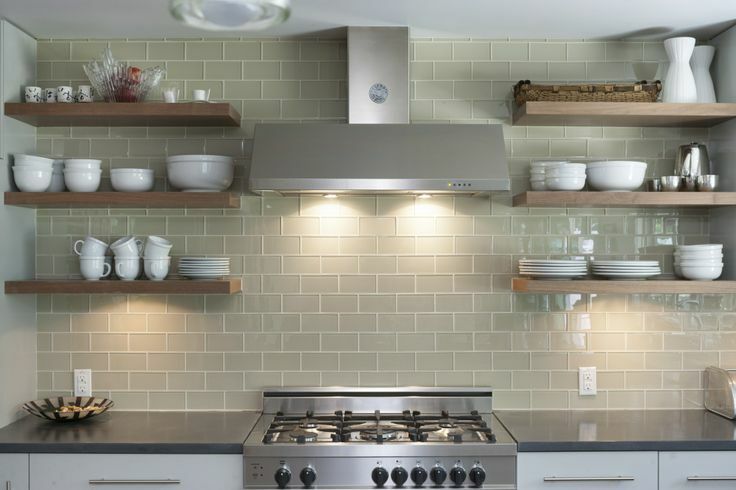 Moreover, if you hang your mugs, pans, towels or pots on hooks instead of store them inside a drawer or a cabinet, it can save you from having to spend more money to buy expensive cabinets. You can never go wrong in integrating every square inch in your small apartment kitchen interior to make more space and create smooth movement through your kitchen.